The Oral History Tutorial contains detailed, technical best practices for doing oral history work in the digital age. 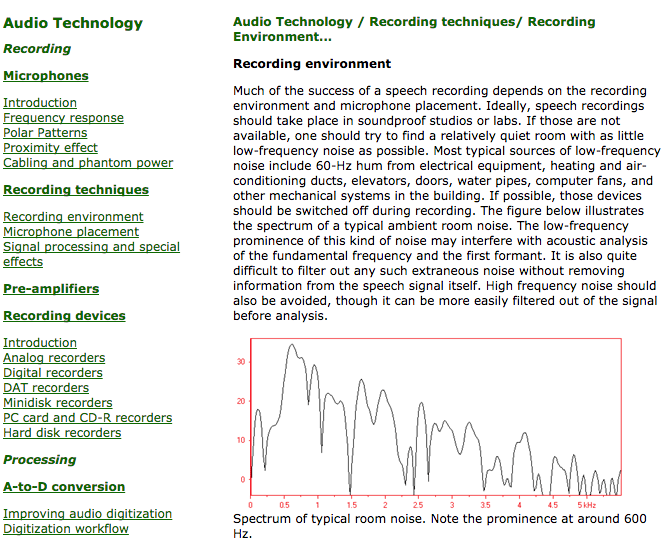 The site features articles on recording techniques, selecting microphones and recording devices, converting files, and delivering files (among others). In addition to text-based tutorials, users can also download research papers, audio files, and interactive software tutorials.